Dr. Robin Jones is a native of Atlanta, Georgia. She completed her doctorate at the University of Medicine and Dentistry of New Jersey. After completing her graduate degree, she was accepted into the General Practice Residency at University Hospital, a Level 1 trauma center in Newark, NJ. 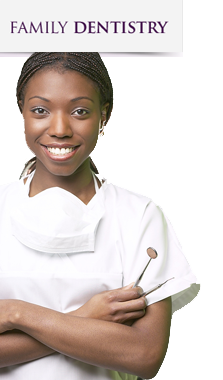 This program offered advanced general and cosmetic dentistry training, oral cancer screening and oral surgery training. Subsequently, Dr. Jones accepted a faculty position in the residency and became a hospital attending with admitting privileges. She also maintained a private practice until relocating to the Douglasville area. Dr. Robin Jones has completed many post-doctoral continuing education courses to keep Arbor Place Dental at the forefront of cosmetic and reconstructive dentistry. Dr. Guillaume received his doctorate from the University of Medicine and Dentistry of New Jersey in 1999, where he excelled in the specialty field of prosthodontics. Dr. Guillaume was accepted into this institution's prosthodontic residency after completion of his undergraduate dental education. He has been guest lecturer at may dental society meetings in the Atlanta, New Jersey, and New York areas, including the prestigious Greater New York Prosthodontics Society's annual meeting. Dr. Guillaume specializes in all phases of cosmetic and reconstructive dentistry. Additionally, he has extensive training in maxillofacial prosthodontics, prosthetic facial and dental reconstruction post head and neck cancer surgery.